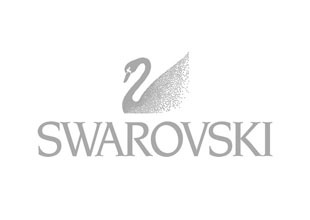 Swarovski is an Austrian manufacturer of globally distributed cut crystal glass founded as a family business in Wattens, Tyrol. The Swarovski Goup is organized into three divisions: The Swarovski Kristall mainly produces jewelry and decor from crystal glass, the Tyrolit Schleifmittel and Swarovski Optik. Swarovski itself and its subsidiaries employ more than 30,000 people in 42 countries worldwide and produce in eight countries.